Blogging has received great exposure worldwide, My people started blogging as a hobby but they loved it so much that they decided to take blogging as a career and became professional bloggers. Why blogging? Well, the answer is simple Blogging is a self-employment, It does not require any degree, Even a kid can start blogging, You can earn lots of money (Some bloggers are earning 5-6 digit income in US Dollars every month) and there are many other benefits. I don't mean only professional bloggers earn money, Many part-time student bloggers can too earn a 5 digit income every month. Blogging also grabbed attention in India and many Indian students started part time blogging. Some of the Indian Bloggers includes names like Amit Agarwal from Digital Inspiration, Jaspal Singh from SaveDelete, Harsh Agrawal from ShoutMeLoud etc. If you want to start a blog and earn money, then it is really Important to take correct measures when starting, Or you may get difficulties afterward. In this post, I'll tell you How to start a successful blog and earn money. A niche or topic (eg: Technology, Health) is really important, Many people make a mistake here and face difficulties. So you should choose a perfect niche according to your knowledge. Pick a topic you are passionate about. Something you have a lot of knowledge and experience. Don't choose niche's only because they are popular. Take time in deciding what you want to blog on. Once you have a Topic, Research on it using Google. See whether the topic is in demand or not, if no then choose another topic. Once you come up with a perfect topic, The next step is choosing Platform. 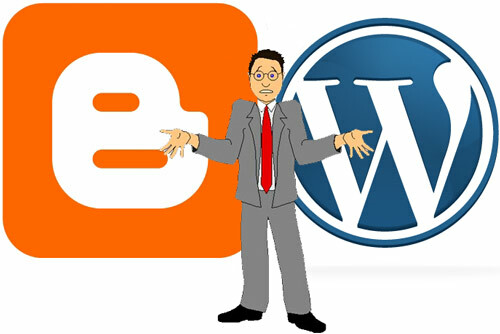 There are many Blogging platforms and The most popular ones are Blogger and Wordpress. Blogger: Blogger is a blogging platform by Google, It is easy to use and has many benefits. It provides free blogging and domain (www.youname.blogspot.com) and the free version of blogger is compatible with Adsense, which means you can earn money without investing a penny. Wordpress: Wordpress is more professional than blogger, It is a bit difficult to use. It also provides free blogging domain (www.yourname.wordpress.com) but for integrating Adsense, you'll have to go premium. For Starting, I would suggest you to Go for Blogger. Afterward, if you want you can migrate to Wordpress without losing your blog. Also Read: How to Set-Up a Dream WordPress Blog in 3 Steps. A Domain is your websites name, You should choose a domain carefully even if you are using free blogging services on Blogger or WordPress. Your Domain must relate your topic or niche, For example, If my blogging niche is cars then my domain must be something like SuperCars or FastCars etc. As you can see the word cars is in both names and anyone can recognize the website just by reading domain, So you got the point? The following thing should be kept in mind while thing a perfect domain. The domain must be related to your topic. The should be rememberable at first glance. Avoid using numbers and symbols in domain unless it makes sense. Don't choose domains in a hurry, Domains are really important. So take as much time as you want until you find a perfect one. Once you have a domain, Move to next step. Now that you have chosen a blogging platform, You must have thought that 'Do you want to invest on your blog or not? ', Blog Investment means Investing in Domain name (www.yourname.com), Investing on Hosting etc. If you don't want to invest any amount then you can just use free blogging accounts on your chosen platforms. Blogger: If your chosen platform is a blogger then One good new for you is that you'll don't have to pay for hosting. Just buy a domain and configure it with blogger and that's all. Blogger provides Free hosting. To buy a domain on cheap prices click here and use the Coupon code the-area51.com to get Flat 10% Discount. Once you purchased required domain Click Here to configure it with Blogger. Wordpress: If your chosen platform is Wordpress then you'll have Invest in both Domain and Hosting. You Can buy a domain on cheap prices click here and use the Coupon code BRA51BR to get Flat 10% Discount. And for Hosting, Click Here to get Cheap Wordpress Hosting and use the Coupon code BRA51WH to get 20% Discount. Once you've purchased both Domain and Hosting, Click here to learn How to Install Wordpress on your server. Now that you've setup your a you blog, Its time to select a Template or Theme in the case of Wordpress. A Template or Theme makes your blog look attractive and Attractive blogs tends to drive a lot more traffic. Light colors, Avoid choosing Black and Dark colored background templates. The background behind Text should be light colored. Click Here to Get Beautiful Templates for Blogger and Click here to get Wordpress themes. Now that you've added a template, You've finished creating the blog. Now it's time to start posting. Start writing Interesting posts for your blog, Add required widgets like Social media buttons, Subscribe box etc. The following points should be kept in mind while writing posts. Write Original posts, Never Copy Post for other Blogs. Avoid mistakes and errors, Check grammar mistakes before publishing. If using copyright or content of another site, Give credit with a Backlink to that website. Also Read: 5 Widgets Every Wordpress Site should have. Once you've written at least 20 high-quality posts, Now its time to do some SEO techniques to get your site appear in Search engines. You can start basic SEO by submitting Sitemap. Click here for Tutorial on How to Submit Sitemap. Make a Facebook fan page of your blog and promote it in your friend circle. Tell yor friends, to check out your website. Click here for More SEO Techniques to Rank High in Search Engines. Now that you've created a Blog and have written 20+ quality posts, It's time to get Known by people on the Internet. Guest Blogging : Guest blogging means writing a post for a popular blog or simply for another blog To get a backlink in return. This way readers of that blog will notice you and if they liked your post then they'll also visit your blog and you'll get Traffic as well as Reputation on the Internet. Making Relations : Having relations with bloggers in the same niche as yours is a good way to start. This will also inspire you for new posts. Click here for tips to build relations with pro bloggers. Commenting : Yes, you got me right. Comment on other blogs related to your niche. 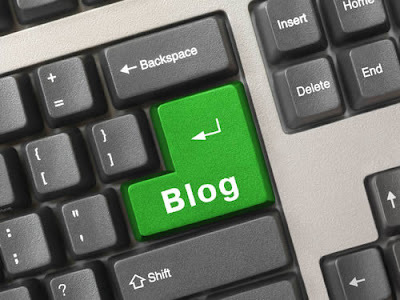 Leave your valuable opinions on their blog, This is the best way to get known. Participate in Conversations, try to solve problems with commenting. Comment on Dofollow blogs, especially with CommentLuv installed for high Page rank. Add a Subscription widget near Top and offer people Easy Subscription, So that your readers get updates. Provide Email subscription box, So that your readers get email updates every time you publish a new post. Also Read: How to Get High Number of subscribers. Once your blog is at least 6 months older and you've written at least 100 Quality Articles. It's time to apply for Google Adsense So that you can Earn money with blogging. Also Try Implementing different Advertising networks, To earn extra money with blogging. So these were some basic steps to Start Blogging, If you had a good start then you'll surely get successful in this field. Hope you liked my article. Click here for more Blogging Tips. Don't forget to leave a comment below. 10 Blogging Mistakes people usually make. 5 Tips for Teens to make money online.